Used for personal and professional workshops, garages, and plumbing services. 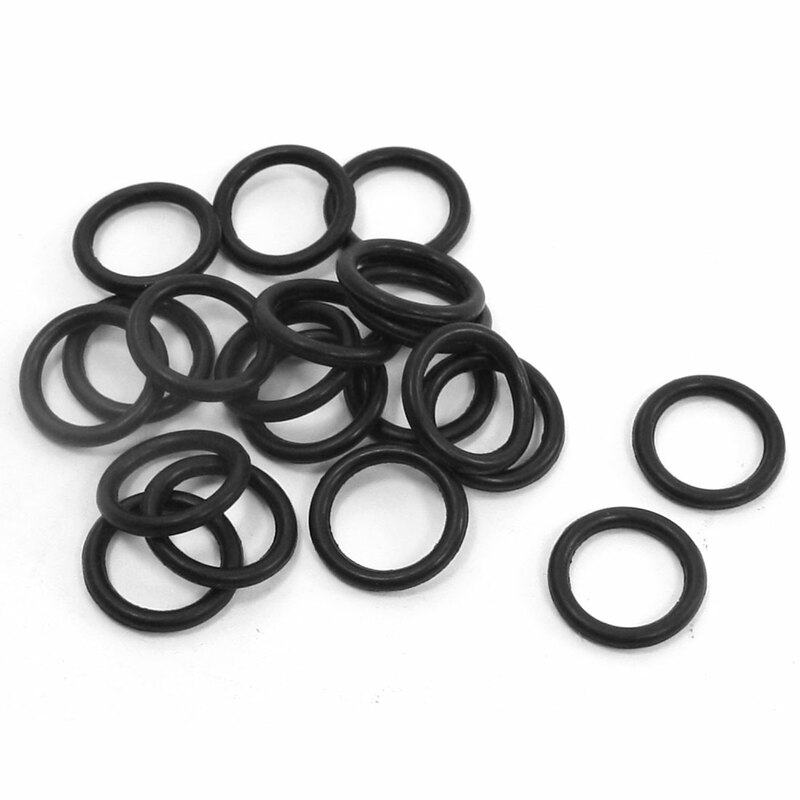 Black rubber oil sealing O rings, oil resistance, abrasion resistance and water proof. O-rings are donut-shaped rings used in industry to seal off or prevent leakage of fluid or gas in an application. Sealing systems for pneumatic equipment. Applications: Rod, piston, cushioning and valve seals. Complete pistons. Color : Black;Outside Diameter : 11mm/ 0.43"
Inside Diameter : 8mm / 0.31";Thickness : 1.5mm / 0.06"